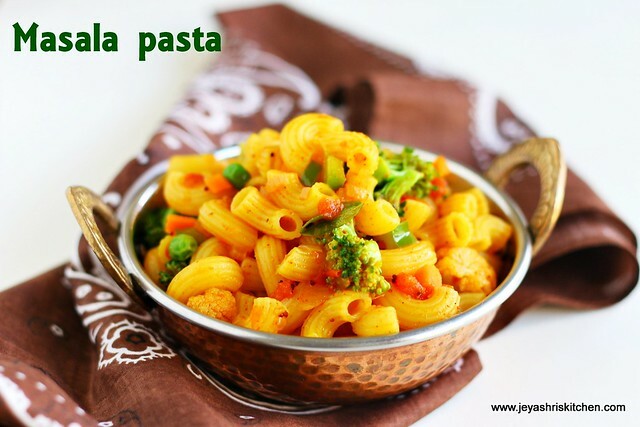 Pasta made with Indian spices and masala, to give it a desi Indian touch. Generally i make pasta for kids with Home made pasta Sauce , and being bored with the usual style i wanted to try a new version of pasta. 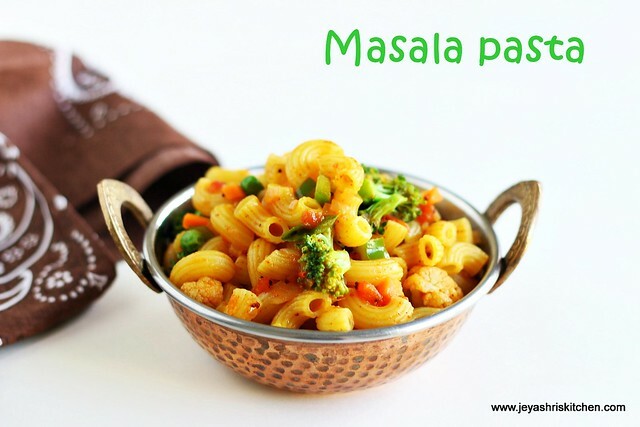 My daughter Varsha came up with the idea of this Desi Masala pasta and i tried with a small batch of pasta last week for her and she enjoyed it a lot. 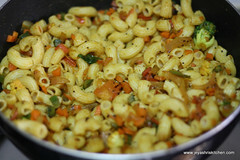 Last weekend i made this for all of us and sharing the recipe of Indian style Masala pasta recipe here. Cook the pasta according to the instructions. Drain the water and keep it aside. 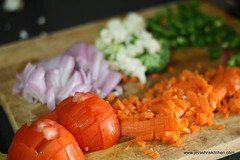 Slice the onions and finely chop the vegetables and tomatoes. 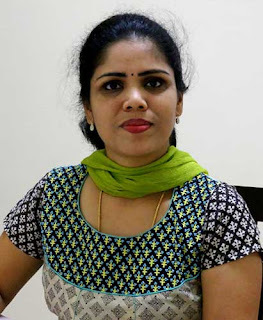 * I used carrots, capsicum,corn kernels, green peas, broccoli, and cauliflower. 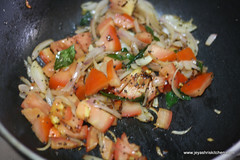 Add in the sliced onions and when it turns pink add the tomatoes. Cook in a medium flame till the tomatoes are cooked. 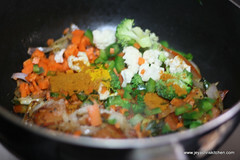 Add in the chopped veggies and add the sambar powder, salt ( just for the veggies), turmeric powder and the pavbhaji masala. 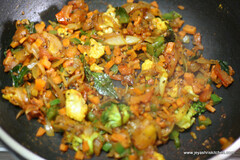 Mix well and cook it for sometime , let the vegetables be crunchy and not over cooked. Add the cooked pasta to this. Before adding the pasta run the pasta in cold water in a colander. This is to get moisture to the pasta. Mix well and cook in a low flame for 3-4 minutes. Switch off the flame. Serve hot . Instead of sambar powder you can add pepper too. 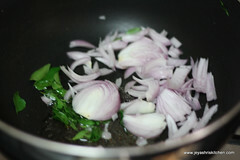 Whole spices can be tempered and ginger garlic paste can be added in the oil, in the beginning. 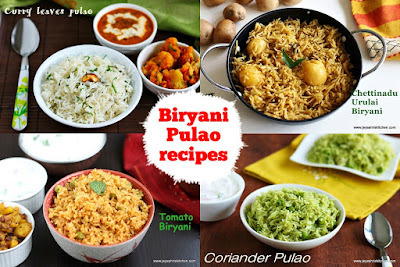 Will post more varieties of Indian style pasta soon. Right Now I am typing a recipe for my Indian version pasta to post in my blog. what a coincidence? you posted it now. 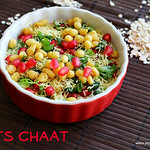 Looks super yumm and it is top fav among all other pasta recipes. Jey, Lovely post! 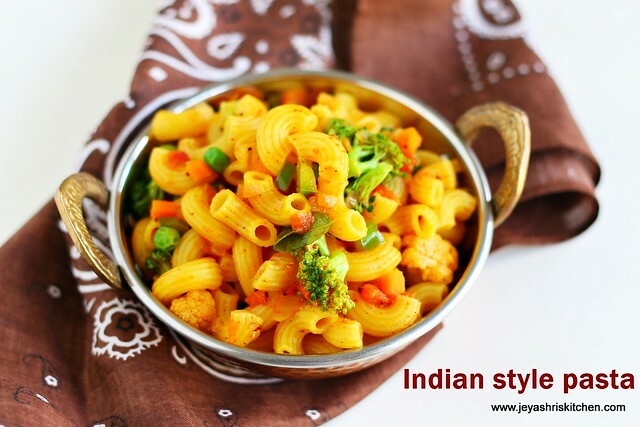 I am a fan of indian style pastas and make varities often. 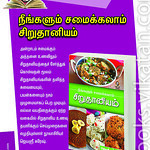 Mix some cooked pasta with karuvepillai podi. 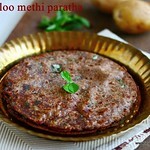 Garnish it with some ground nuts and ghee. Or just plain ghee and curry leaves in sphagetti is awesome! I have tried with green chutney too. That was so good. Use just like a pesto, sauteed with red capsicum and corn. Also regularly gunpowder ( idli molagai podi) pasta with gingelly oil. Perfect snacks! he he ! 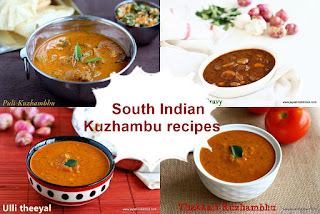 good to see u using sambhar powder ! i generally use that i do not like more tomato based sauce pasta ! Def good one ! Pasta looks so delicious. 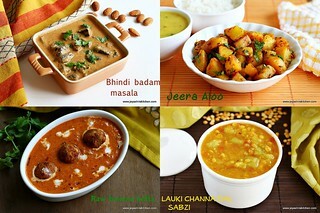 Indian masalas rule when it comes to taste. Looks so nice. will try very soon. Delicious and masaladar pasta!!! I make this little more saucy!!! 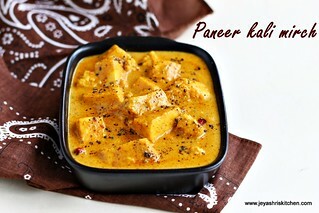 Feel like finishing that inviting pasta,yummy..
that masala pasta is just inviting.....luks wonderful...nice recipe . I call it Indiana Pasta Jey! Loving this desi style pasta, definitely droolworthy. 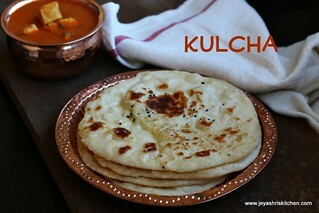 Always have a soft corner for Indianised Italian dishes.. This one falls perfectly into that category.. Looks lovely ! sounds interesting..love the Indian way of making pasta.. Very colorful and tempting pasta.. looks awesome!! Simple but very healthy and tasty. Great recipe Jey. We would love having a few of your innovative recipes on our PrestigeSmartChef.com website. very nice style . India ki JAI ! Good one. I tried with garam masala instead of pav bhaji masala.